For centuries, bananas have been the staple subsistence crop for several million people in upland East and Central Africa. This "electronic book" seeks to expand knowledge of this unheralded crop which even in the aftermath of the Rwandan genocide went unnoticed by the world's media and their talk only of maize. A short geographical description of the Kagera Region, with topographical photographs, precedes a comprehensive review of the published information on the crop and the causes of declining yields. A research and development programme between December 1987 and May 1990 is used to illustrate many of the problems and ways in which answers have been sought. 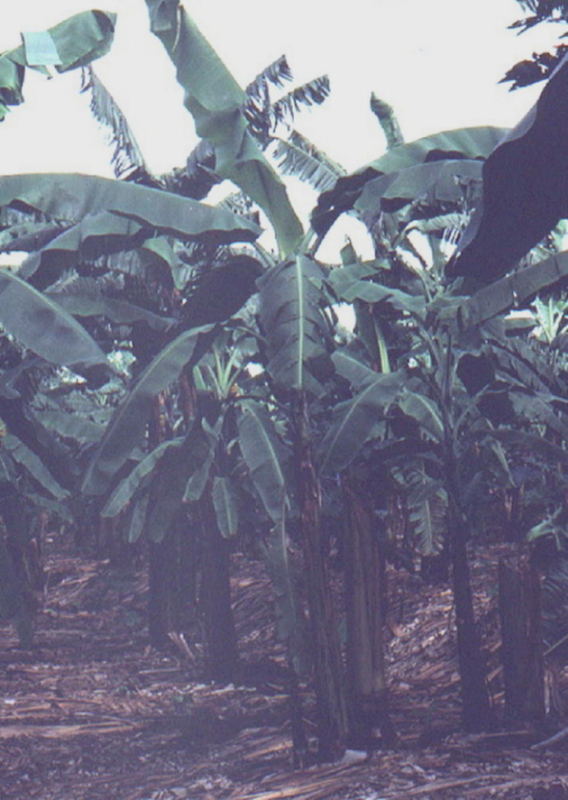 Many photographs accompany the research results, including previously unpublished examples of the many varieties of banana, nearly all of which are unique to the geographical region. Brian Taylor publications Comments to dr.brian.taylor@ntlworld.com href="/bananas2000/bancover.htm"